This product packs a powerful combination of blackout sleep mask and comfortable sleep headphones. The sleep mask is ideal for listening to relaxing music or soothing lullaby to help you drift to sleep. The mask is made of a comfortable memory foam sponge - which will soothe your fatigue - and is ideal for side sleepers and back sleepers alike. 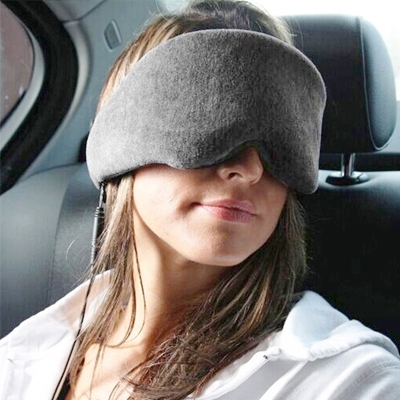 This eye mask will be your best friend at home and an ideal travel companion on the go. The cord attaches to all your devices with a 3.5mm plug. The inline volume control means you can easily adjust the volume without reaching for your music device. It can even allow you to answer an incoming call via its inbuilt microphone. 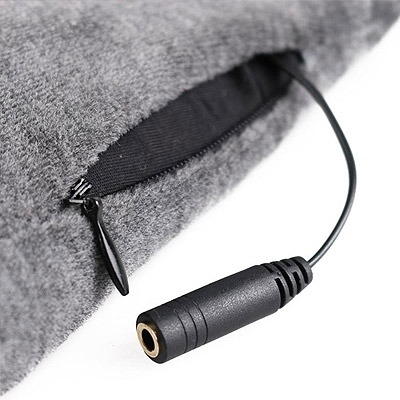 Take the included extension cord and insert the plug with 2 black lines into the jack that is connected to the sleep mask. Then insert the other end (3 black lines) into your phone/music device. Easy! Use your Travel Easy Sleep Mask Headphone to make phone calls! 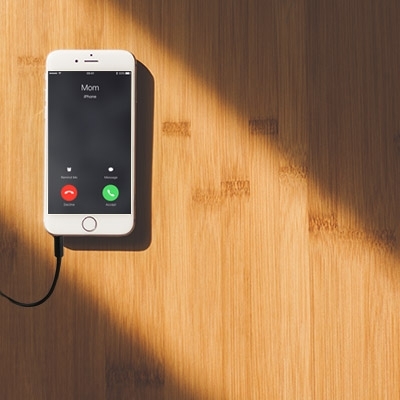 Answer the phone or call a friend directly via the device with hands free! Just press the button next to the volume control to pick the phone up. Note : As everyone has a different shape and sized head your experience of how much light a sleep mask may block may vary. Unfortunately due to hygiene consideration we cannot accept returns of sleep masks, unless faulty. Unzip eye mask and remove outer shell completely. Do not wash inner contents. Due to health and safety considerations we can not accept returns or exchanges on this product unless the product is faulty.